Alexandra Stakes winner Princess Jenni will head to Sydney for the Adrian Knox Stakes. David Brideoake has high expectations for Princess Jenni who is Sydney-bound for the autumn carnival. 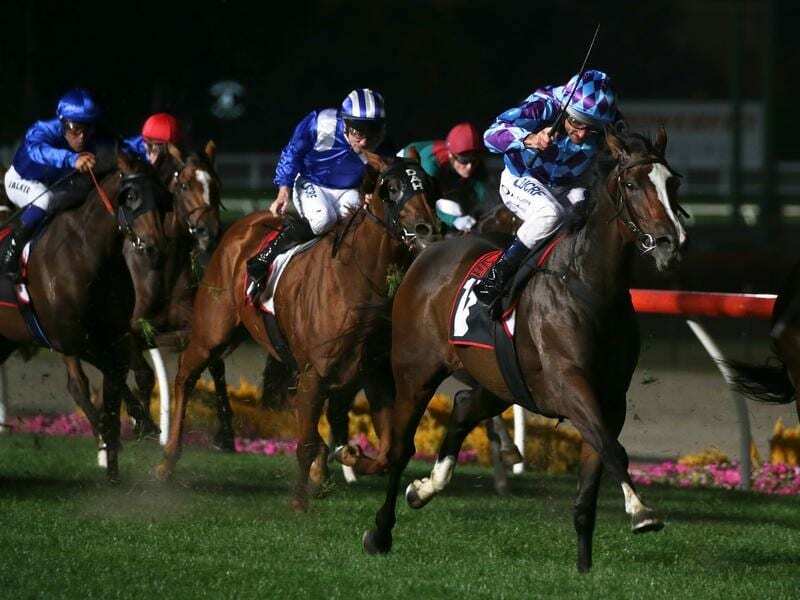 The lightly raced filly scored at stakes level at The Valley on Friday night under Damien Oliver, circling the field to win the Alexandra Stakes. Brideoake said the filly would now travel to Sydney for the Group Three Adrian Knox Stakes (2000m) at Randwick on April 6. The Mornington-based trainer said Princess Jenni had been beset by a number of niggling problems which had delayed the start to her autumn campaign. She ran a first-up seventh to Spanish Whisper in the Kewney Stakes at Flemington on March 9 ahead of her success on Friday night. Brideoake said he would have liked another run under her belt before heading to Sydney for the Adrian Knox after which he will make a decision whether to back her up in the Australian Oaks (2400m) a week later. “I will make a judgment call whether she is still too brilliant to run in the Oaks depending on how we go over the 2000 metres,” Brideoake said. “If she arrives up in Sydney in good shape you would have to think she’d be a force to be reckoned with. If Brideoake thinks Princess Jenni may prove too brilliant for the 2400m of the Australian Oaks, he could instead switch his attention to Adelaide and the Australasian Oaks (2000m) at Morphettville on May 4. Brideoake says Princess Jenni has the potential to be one of the best horses he has trained. “As a filly with sustained speed and with that level of stamina, she impresses me,” Brideoake said.